June 1 – The lost has been found! I have been looking forever for this shuttle bobbin with handspinning on it. It was hiding in plain sight. I can’t believe how I missed it. 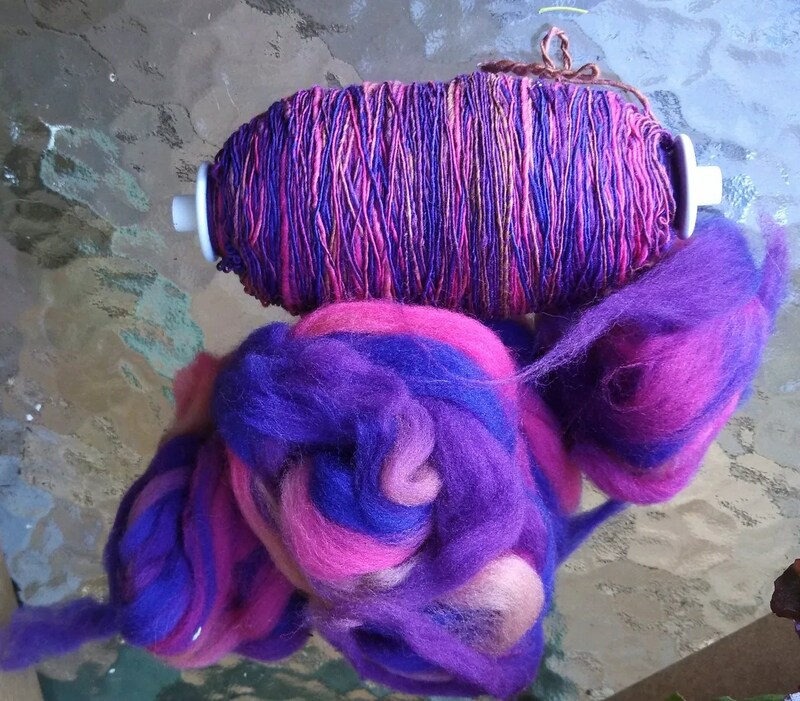 But now I’m spinning up the rest of this lovely colorway: “Berries” Targhee, but Sweet Grass Wool. 1 Response to June 1 – The lost has been found! Yay! Glad to see all da pitchas. So satisfying to find what has been lost. Most of all, glad you’re doing okay.